We cut our sapphires and manufacture the finest custom jewelry in our own fully functioning workshop. We maintain and manage our production full time, supervising everything from the cutting of the rough crystals to the polishing on each piece of jewelry. Everything we do starts with our sapphires. We like to think that we specialize in stone cutting more than any other step in the jewelry making process. Our sapphires are faceted and polished right here in New York. 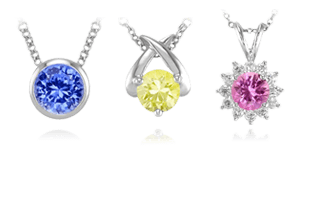 Each shape, facet, and angle is carefully selected in all of our sapphires. We truly are gem cutters. Every fine piece of jewelry starts with imagination. Our in-house, award-winning designers begin with hand sketching. We move through various phases of construction and design, and the final design is given to our CAD specialists or a jeweler that specializes in handmade fabrication. The first step of any jewelry creation begins with a sketch. We employ a combination of old world techniques and modern technology. 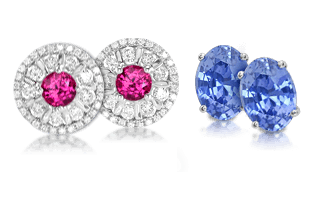 We extensively study all of our sapphires to determine their optimal cutting options and use the latest 3D scanning equipment to maximize the potential of all of our gemstones. Our scanning and mapping equipment is the latest technology available in gemology. Computer generated images allow us to create unlimited designs and modifications without having to go through the actual manufacturing process. Computer renderings give unlimited potential in planning for the model of the final design. 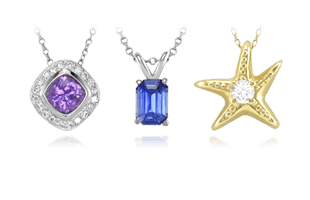 We can create virtual jewelry in any metal color to preview the design before the final selection is made and produced. We do all of our jewelry designs in-house. Our CAD designers are the best in the industry! Detailed renderings of a blue sapphire ring with diamond side stones. Once the final design is approved, we begin the manufacturing of the jewelry piece. This next step involves using a sophisticated model building machine. We have the latest technology used in this process. See a sample video of our model building machine here. Once we have the completed polymer wax model we can start the metal casting process. Completed Polymer Wax Model of Ring Setting. A precious metal form is cast from a mold of our polymer wax model. We then use old world crafting techniques to produce fine, handmade jewelry. There are dozens of steps in this process. Each one is carefully performed by skilled craftsmen. Our experience in fine jewelry for over 70 years assures the highest quality standards. 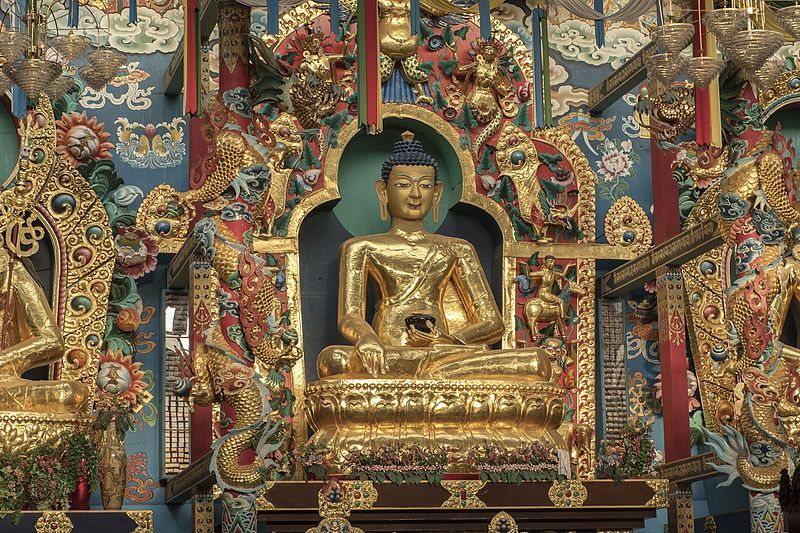 Gold is melted and refined to remove impurities. It is poured into the jewelry mold to create a metal casting. A jeweler cuts away the sprues from a ring. Sprues are small channels in the jewelry mold through which the molten gold flows during the casting process. Jewelry is polished using a variety of techniques. A jeweler uses a polishing wheel to apply the perfect finish to a ring. 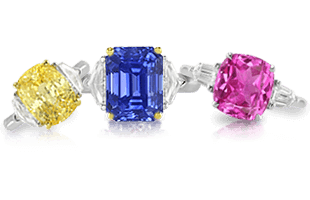 Setting the sapphires is the final step in creating a finished piece of jewelry. There are many ways to set a sapphire. The finished jewelry piece is truly a work of art. This ring features a double-prong setting and two flanking emerald cut diamonds.